The problem isn't simply an issue of disk read and write speeds. With data flows at these volumes, the main problem is storage network throughput; even with the best of switches and storage servers, traditional SAN architectures can become a performance bottleneck for data processing. Then there's the cost of scaling up storage conventionally. Given the rate that hyper-scale web companies add capacity (Amazon, for example, adds as much capacity to its data centers each day as the whole company ran on in 2001, according to Amazon Vice President James Hamilton), the cost required to properly roll out needed storage in the same way most data centers do would be huge in terms of required management, hardware, and software costs. That cost goes up even higher when relational databases are added to the mix, depending on how an organization approaches segmenting and replicating them. The need for this kind of perpetually scalable, durable storage has driven the giants of the Web—Google, Amazon, Facebook, Microsoft, and others—to adopt a different sort of storage solution: distributed file systems based on object-based storage. These systems were at least in part inspired by other distributed and clustered filesystems such as Red Hat's Global File System and IBM's General Parallel Filesystem. The architecture of the cloud giants' distributed file systems separates the metadata (the data about the content) from the stored data itself. That allows for high volumes of parallel reading and writing of data across multiple replicas, and the tossing of concepts like "file locking" out the window. The impact of these distributed file systems extends far beyond the walls of the hyper-scale data centers they were built for— they have a direct impact on how those who use public cloud services such as Amazon's EC2, Google's AppEngine, and Microsoft's Azure develop and deploy applications. And companies, universities, and government agencies looking for a way to rapidly store and provide access to huge volumes of data are increasingly turning to a whole new class of data storage systems inspired by the systems built by cloud giants. So it's worth understanding the history of their development, and the engineering compromises that were made in the process. Google was among the first of the major Web players to face the storage scalability problem head-on. And the answer arrived at by Google's engineers in 2003 was to build a distributed file system custom-fit to Google's data center strategy—Google File System (GFS). GFS is the basis for nearly all of the company's cloud services. It handles data storage, including the company's BigTable database and the data store for Google's AppEngine platform-as-a-service, and it provides the data feed for Google's search engine and other applications. The design decisions Google made in creating GFS have driven much of the software engineering behind its cloud architecture, and vice-versa. Google tends to store data for applications in enormous files, and it uses files as "producer-consumer queues," where hundreds of machines collecting data may all be writing to the same file. That file might be processed by another application that merges or analyzes the data—perhaps even while the data is still being written. Google keeps most technical details of GFS to itself, for obvious reasons. But as described by Google research fellow Sanjay Ghemawat, principal engineer Howard Gobioff, and senior staff engineer Shun-Tak Leung in a paper first published in 2003, GFS was designed with some very specific priorities in mind: Google wanted to turn large numbers of cheap servers and hard drives into a reliable data store for hundreds of terabytes of data that could manage itself around failures and errors. And it needed to be designed for Google's way of gathering and reading data, allowing multiple applications to append data to the system simultaneously in large volumes and to access it at high speeds. Much in the way that a RAID 5 storage array "stripes" data across multiple disks to gain protection from failures, GFS distributes files in fixed-size chunks which are replicated across a cluster of servers. 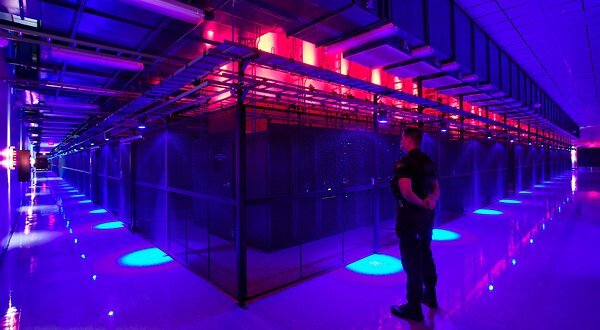 Because they're cheap computers using cheap hard drives, some of those servers are bound to fail at one point or another—so GFS is designed to be tolerant of that without losing (too much) data. But the similarities between RAID and GFS end there, because those servers can be distributed across the network—either within a single physical data center or spread over different data centers, depending on the purpose of the data. GFS is designed primarily for bulk processing of lots of data. Reading data at high speed is what's important, not the speed of access to a particular section of a file, or the speed at which data is written to the file system. GFS provides that high output at the expense of more fine-grained reads and writes to files and more rapid writing of data to disk. As Ghemawat and company put it in their paper, "small writes at arbitrary positions in a file are supported, but do not have to be efficient." This distributed nature, along with the sheer volume of data GFS handles—millions of files, most of them larger than 100 megabytes and generally ranging into gigabytes—requires some trade-offs that make GFS very much unlike the sort of file system you'd normally mount on a single server. Because hundreds of individual processes might be writing to or reading from a file simultaneously, GFS needs to supports "atomicity" of data—rolling back writes that fail without impacting other applications. And it needs to maintain data integrity with a very low synchronization overhead to avoid dragging down performance. GFS consists of three layers: a GFS client, which handles requests for data from applications; a master, which uses an in-memory index to track the names of data files and the location of their chunks; and the "chunk servers" themselves. 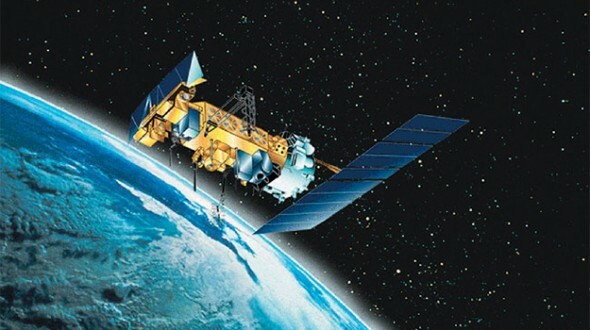 Originally, for the sake of simplicity, GFS used a single master for each cluster, so the system was designed to get the master out of the way of data access as much as possible. Google has since developed a distributed master system that can handle hundreds of masters, each of which can handle about 100 million files. When the GFS client gets a request for a specific data file, it requests the location of the data from the master server. The master server provides the location of one of the replicas, and the client then communicates directly with that chunk server for reads and writes during the rest of that particular session. The master doesn't get involved again unless there's a failure. To ensure that the data firehose is highly available, GFS trades off some other things—like consistency across replicas. GFS does enforce data's atomicity—it will return an error if a write fails, then rolls the write back in metadata and promotes a replica of the old data, for example. But the master's lack of involvement in data writes means that as data gets written to the system, it doesn't immediately get replicated across the whole GFS cluster. The system follows what Google calls a "relaxed consistency model" out of the necessities of dealing with simultaneous access to data and the limits of the network. This means that GFS is entirely okay with serving up stale data from an old replica if that's what's the most available at the moment—so long as the data eventually gets updated. The master tracks changes, or "mutations," of data within chunks using version numbers to indicate when the changes happened. As some of the replicas get left behind (or grow "stale"), the GFS master makes sure those chunks aren't served up to clients until they're first brought up-to-date. But that doesn't necessarily happen with sessions already connected to those chunks. The metadata about changes doesn't become visible until the master has processed changes and reflected them in its metadata. That metadata also needs to be replicated in multiple locations in case the master fails—because otherwise the whole file system is lost. And if there's a failure at the master in the middle of a write, the changes are effectively lost as well. This isn't a big problem because of the way that Google deals with data: the vast majority of data used by its applications rarely changes, and when it does data is usually appended rather than modified in place. While GFS was designed for the apps Google ran in 2003, it wasn't long before Google started running into scalability issues. Even before the company bought YouTube, GFS was starting to hit the wall—largely because the new applications Google was adding didn't work well with the ideal 64-megabyte file size. To get around that, Google turned to Bigtable, a table-based data store that vaguely resembles a database and sits atop GFS. Like GFS below it, Bigtable is mostly write-once, so changes are stored as appends to the table—which Google uses in applications like Google Docs to handle versioning, for example. The foregoing is mostly academic if you don't work at Google (though it may help users of AppEngine, Google Cloud Storage and other Google services to understand what's going on under the hood a bit better). While Google Cloud Storage provides a public way to store and access objects stored in GFS through a Web interface, the exact interfaces and tools used to drive GFS within Google haven't been made public. But the paper describing GFS led to the development of a more widely used distributed file system that behaves a lot like it: the Hadoop Distributed File System. Developed in Java and open-sourced as a project of the Apache Foundation, Hadoop has developed such a following among Web companies and others coping with "big data" problems that it has been described as the "Swiss army knife of the 21st Century." All the hype means that sooner or later, you're more likely to find yourself dealing with Hadoop in some form than with other distributed file systems—especially when Microsoft starts shipping it as an Windows Server add-on. Named by developer Doug Cutting after his son's stuffed elephant, Hadoop was "inspired" by GFS and Google's MapReduce distributed computing environment. In 2004, as Cutting and others working on the Apache Nutch search engine project sought a way to bring the crawler and indexer up to "Web scale," Cutting read Google's papers on GFS and MapReduce and started to work on his own implementation. While most of the enthusiasm for Hadoop comes from Hadoop's distributed data processing capability, derived from its MapReduce-inspired distributed processing management, the Hadoop Distributed File System is what handles the massive data sets it works with. Hadoop is developed under the Apache license, and there are a number of commercial and free distributions available. The distribution I worked with was from Cloudera (Doug Cutting's current employer)—the Cloudera Distribution Including Apache Hadoop (CDH), the open-source version of Cloudera's enterprise platform, and Cloudera Service and Configuration Express Edition, which is free for up to 50 nodes. HortonWorks, the company with which Microsoft has aligned to help move Hadoop to Azure and Windows Server (and home to much of the original Yahoo team that worked on Hadoop), has its own Hadoop-based HortonWorks Data Platform in a limited "technology preview" release. There's also a Debian package of the Apache Core, and a number of other open-source and commercial products that are based on Hadoop in some form. HDFS can be used to support a wide range of applications where high volumes of cheap hardware and big data collide. But because of its architecture, it's not exactly well-suited to general purpose data storage, and it gives up a certain amount of flexibility. HDFS has to do away with certain things usually associated with file systems in order to make sure it can perform well with massive amounts of data spread out over hundreds, or even thousands, of physical machines—things like interactive access to data. While Hadoop runs in Java, there are a number of ways to interact with HDFS besides its Java API. There's a C-wrapped version of the API, a command line interface through Hadoop, and files can be browsed through HTTP requests. There's also MountableHDFS, an add-on based on FUSE that allows HDFS to be mounted as a file system by most operating systems. Developers are working on a WebDAV interface as well to allow Web-based writing of data to the system. HDFS follows the architectural path laid out by Google's GFS fairly closely, following its three-tiered, single master model. Each Hadoop cluster has a master server called the "NameNode" which tracks the metadata about the location and replication state of each 64-megabyte "block" of storage. Data is replicated across the "DataNodes" in the cluster—the slave systems that handle data reads and writes. Each block is replicated three times by default, though the number of replicas can be increased by changing the configuration of the cluster. As in GFS, HDFS gets the master server out of the read-write loop as quickly as possible to avoid creating a performance bottleneck. When a request is made to access data from HDFS, the NameNode sends back the location information for the block on the DataNode that is closest to where the request originated. The NameNode also tracks the health of each DataNode through a "heartbeat" protocol and stops sending requests to DataNodes that don't respond, marking them "dead." After the handoff, the NameNode doesn't handle any further interactions. Edits to data on the DataNodes are reported back to the NameNode and recorded in a log, which then guides replication across the other DataNodes with replicas of the changed data. As with GFS, this results in a relatively lazy form of consistency, and while the NameNode will steer new requests to the most recently modified block of data, jobs in progress will still hit stale data on the DataNodes they've been assigned to. That's not supposed to happen much, however, as HDFS data is supposed to be "write once"—changes are usually appended to the data, rather than overwriting existing data, making for simpler consistency. And because of the nature of Hadoop applications, data tends to get written to HDFS in big batches. When a client sends data to be written to HDFS, it first gets staged in a temporary local file by the client application until the data written reaches the size of a data block—64 megabytes, by default. Then the client contacts the NameNode and gets back a datanode and block location to write the data to. The process is repeated for each block of data committed, one block at a time. This reduces the amount of network traffic created, and it slows down the write process as well. But HDFS is all about the reads, not the writes. Another way HDFS can minimize the amount of write traffic over the network is in how it handles replication. By activating an HDFS feature called "rack awareness" to manage distribution of replicas, an administrator can specify a rack ID for each node, designating where it is physically located through a variable in the network configuration script. By default, all nodes are in the same "rack." But when rack awareness is configured, HDFS places one replica of each block on another node within the same data center rack, and another in a different rack to minimize the amount of data-writing traffic across the network—based on the reasoning that the chance of a whole rack failure is less likely than the failure of a single node. In theory, this improves overall write performance to HDFS without sacrificing reliability. As with the early version of GFS, HDFS's NameNode potentially creates a single point of failure for what's supposed to be a highly available and distributed system. If the metadata in the NameNode is lost, the whole HDFS environment becomes essentially unreadable—like a hard disk that has lost its file allocation table. HDFS supports using a "backup node," which keeps a synchronized version of the NameNode's metadata in-memory, and stores snap-shots of previous states of the system so that it can be rolled back if necessary. Snapshots can also be stored separately on what's called a "checkpoint node." However, according to the HDFS documentation, there's currently no support within HDFS for automatically restarting a crashed NameNode, and the backup node doesn't automatically kick in and replace the master. HDFS and GFS were both engineered with search-engine style tasks in mind. But for cloud services targeted at more general types of computing, the "write once" approach and other compromises made to ensure big data query performance are less than ideal—which is why Amazon developed its own distributed storage platform, called Dynamo. As Amazon began to build its Web services platform, the company had much different application issues than Google. Until recently, like GFS, Dynamo hasn't been directly exposed to customers. As Amazon CTO Werner Vogels explained in his blog in 2007, it is the underpinning of storage services and other parts of Amazon Web Services that are highly exposed to Amazon customers, including Amazon's Simple Storage Service (S3) and SimpleDB. But on January 18 of this year, Amazon launched a database service called DynamoDB, based on the latest improvements to Dynamo. It gave customers a direct interface as a "NoSQL" database. Dynamo has a few things in common with GFS and HDFS: it's also designed with less concern for consistency of data across the system in exchange for high availability, and to run on Amazon's massive collection of commodity hardware. But that's where the similarities start to fade away, because Amazon's requirements for Dynamo were totally different. Amazon needed a file system that could deal with much more general purpose data access—things like Amazon's own e-commerce capabilities, including customer shopping carts, and other very transactional systems. And the company needed much more granular and dynamic access to data. Rather than being optimized for big streams of data, the need was for more random access to smaller components, like the sort of access used to serve up webpages. According to the paper presented by Vogels and his team at the Symposium on Operating Systems Principles conference in October 2007, "Dynamo targets applications that need to store objects that are relatively small (usually less than 1 MB)." And rather than being optimized for reads, Dynamo is designed to be "always writeable," being highly available for data input—precisely the opposite of Google's model. "For a number of Amazon services," the Amazon Dynamo team wrote in their paper, "rejecting customer updates could result in a poor customer experience. For instance, the shopping cart service must allow customers to add and remove items from their shopping cart even amidst network and server failures." At the same time, the services based on Dynamo can be applied to much larger data sets—in fact, Amazon offers the Hadoop-based Elastic MapReduce service based on S3 atop of Dynamo. In order to meet those requirements, Dynamo's architecture is almost the polar opposite of GFS—it more closely resembles a peer-to-peer system than the master-slave approach. Dynamo also flips how consistency is handled, moving away from having the system resolve replication after data is written, and instead doing conflict resolution on data when executing reads. That way, Dynamo never rejects a data write, regardless of whether it's new data or a change to existing data, and the replication catches up later. Because of concerns about the pitfalls of a central master server failure (based on previous experiences with service outages), and the pace at which Amazon adds new infrastructure to its cloud, Vogel's team chose a decentralized approach to replication. It was based on a self-governing data partitioning scheme that used the concept of consistent hashing. The resources within each Dynamo cluster are mapped as a continuous circle of address spaces, and each storage node in the system is given a random value as it is added to the cluster—a value that represents its "position" on the Dynamo ring. Based on the number of storage nodes in the cluster, each node takes responsibility for a chunk of address spaces based on its position. 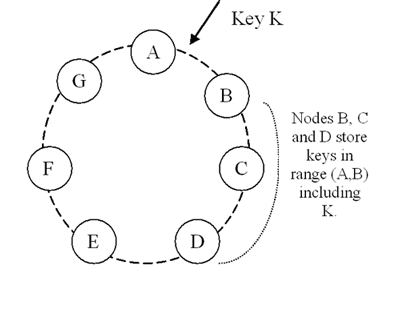 As storage nodes are added to the ring, they take over chunks of address space and the nodes on either side of them in the ring adjust their responsibility. Since Amazon was concerned about unbalanced loads on storage systems as newer, better hardware was added to clusters, Dynamo allows multiple virtual nodes to be assigned to each physical node, giving bigger systems a bigger share of the address space in the cluster. This spreads requests out across all the nodes in the system. In the event of a failure of one of the nodes, its virtual neighbors on the ring start picking up requests and fill in the vacant space with their replicas. Then there's Dynamo's consistency-checking scheme. When a "get" request comes in from a client application, Dynamo polls its nodes to see who has a copy of the requested data. Each node with a replica responds, providing information about when its last change was made, based on a vector clock—a versioning system that tracks the dependencies of changes to data. Depending on how the polling is configured, the request handler can wait to get just the first response back and return it (if the application is in a hurry for any data and there's low risk of a conflict—like in a Hadoop application) or it can wait for two, three, or more responses. For multiple responses from the storage nodes, the handler checks to see which is most up-to-date and alerts the nodes that are stale to copy the data from the most current, or it merges versions that have non-conflicting edits. This scheme works well for resiliency under most circumstances—if nodes die, and new ones are brought online, the latest data gets replicated to the new node. The most recent improvements in Dynamo, and the creation of DynamoDB, were the result of looking at why Amazon's internal developers had not adopted Dynamo itself as the base for their applications, and instead relied on the services built atop it—S3, SimpleDB, and Elastic Block Storage. The problems that Amazon faced in its April 2011 outage were the result of replication set up between clusters higher in the application stack—in Amazon's Elastic Block Storage, where replication overloaded the available additional capacity, rather than because of problems with Dynamo itself. The overall stability of Dynamo has made it the inspiration for open-source copycats just as GFS did. Facebook relies on Cassandra, now an Apache project, which is based on Dynamo. Basho's Riak "NoSQL" database also is derived from the Dynamo architecture. When Microsoft launched the Azure platform-as-a-service, it faced a similar set of requirements to those of Amazon—including massive amounts of general-purpose storage. But because it's a PaaS, Azure doesn't expose as much of the infrastructure to its customers as Amazon does with EC2. And the service has the benefit of being purpose-built as a platform to serve cloud customers instead of being built to serve a specific internal mission first. As Microsoft's Brad Calder describes in his overview of Azure's storage architecture, Azure uses a key system similar to that used in Dynamo to identify the location of data. But rather than having the application or service contact storage nodes directly, the request is routed through a front-end layer that keeps a map of data partitions in a role similar to that of HDFS's NameNode. Unlike HDFS, Azure uses multiple front-end servers, load balancing requests across them. The front-end server handles all of the requests from the client application authenticating the request, and handles communicating with the next layer down—the partition layer. Each logical chunk of Azure's storage space is managed by a partition server, which tracks which extents within the underlying DFS hold the data. The partition server handles the reads and writes for its particular set of storage objects. The physical storage of those objects is spread across the DFS' extents, so all partition servers each have access to all of the extents in the DFS. In addition to buffering the DFS from the front-end servers's read and write requests, the partition servers also cache requested data in memory, so repeated requests can be responded to without having to hit the underlying file system. That boosts performance for small, frequent requests like those used to render a webpage. All of the metadata for each partition is replicated back to a set of "partition master" servers, providing a backup of the information if a partition server fails—if one goes down, its partitions are passed off to other partition servers dynamically. The partition masters also monitor the workload on each partition server in the Azure storage cluster; if a particular partition server is becoming overloaded, the partition master can dynamically re-assign partitions. Azure is unlike the other big DFS systems in that it more tightly enforces consistency of data writes. Replication of data happens when writes are sent to the DFS, but it's not the lazy sort of replication that is characteristic of GFS and HDFS. 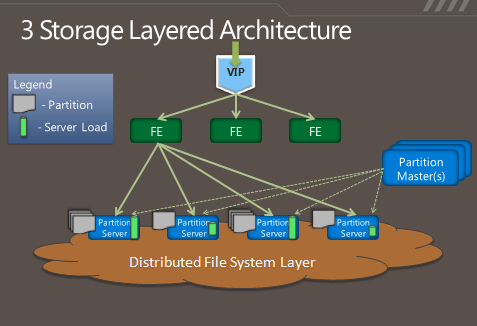 Each extent of storage is managed by a primary DFS server and replicated to multiple secondaries; one DFS server may be a primary for a subset of extents and a secondary server for others. When a partition server passes a write request to DFS, it contacts the primary server for the extent the data is being written to, and the primary passes the write to its secondaries. The write is only reported as successful when the data has been replicated successfully to three secondary servers. As with the partition layer, Azure DFS uses load balancing on the physical layer in an attempt to prevent systems from getting jammed with too much I/O. Each partition server monitors the workload on the primary extent servers it accesses; when a primary DFS server starts to red-line, the partition server starts redirecting read requests to secondary servers, and redirecting writes to extents on other servers. The next level of "distributed"
Distributed file systems are hardly a guarantee of perpetual uptime. In most cases, DFS's only replicate within the same data center because of the amount of bandwidth required to keep replicas in sync. But replication within the data center, for example doesn't help when the whole data center gets taken offline or a backup network switch fails to kick in when the primary fails. In August, Microsoft and Amazon both had data centers in Dublin taken offline by a transformer explosion—which created a spike that kept backup generators from starting. 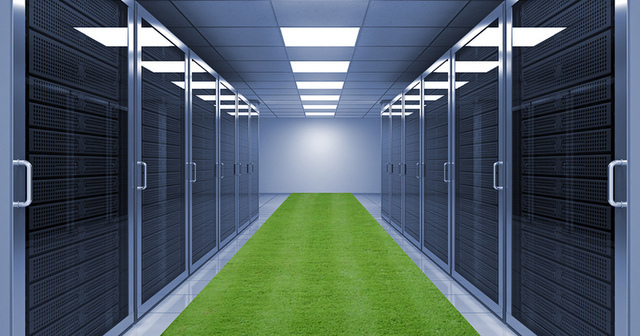 Systems that are lazier about replication, such as GFS and Hadoop, can asynchronously handle replication between two data centers; for example, using "rack awareness," Hadoop clusters can be configured to point to a DataNode offsite, and metadata can be passed to a remote checkpoint or backup node (at least in theory). But for more dynamic data, that sort of replication can be difficult to manage. That's one of the reasons Microsoft released a feature called "geo-replication" in September. Geo-replication is a feature that will sync customers' data between two data center locations hundred of miles apart. Rather than using the tightly coupled replication Microsoft uses within the data center, geo-replication happens asynchronously. Both of the Azure data centers have to be in the same region; for example, data for an application set up through the Azure Portal at the North Central US data center can be replicated to the South Central US. In Amazon's case, the company does replication across availability zones at a service level rather than down in the Dynamo architecture. While Amazon hasn't published how it handles its own geo-replication, it provides customers with the ability to "snap shot" their EBS storage to a remote S3 data "bucket." And that's the approach Amazon and Google have generally taken in evolving their distributed file systems: making the fixes in the services based on them, rather than in the underlying architecture. While Google has added a distributed master system to GFS and made other tweaks to accommodate its ever-growing data flows, the fundamental architecture of Google's system is still very much like it was in 2003. But in the long term, the file systems themselves may become more focused on being an archive of data than something applications touch directly. In an interview with Ars, database pioneer (and founder of VoltDB) Michael Stonebraker said that as data volumes continue to go up for "big data" applications, server memory is becoming "the new disk" and file systems are becoming where the log for application activity gets stored—"the new tape." As the cloud giants push for more power efficiency and performance from their data centers, they have already moved increasingly toward solid-state drives and larger amounts of system memory. The process works in the following manner. The user prepares qubits – the fundamental units of quantum computers – in a state known only to himself and sends these qubits to the quantum computer. The quantum computer entangles the qubits according to a standard scheme. The actual computation is measurement-based: the processing of quantum information is implemented by simple measurements on qubits. The user tailors measurement instructions to the particular state of each qubit and sends them to the quantum server. Finally, the results of the computation are sent back to the user who can interpret and utilize the results of the computation. Even if the quantum computer or an eavesdropper tries to read the qubits, they gain no useful information, without knowing the initial state; they are "blind." The research at the Vienna Center for Quantum Science and Technology (VCQ) at the University of Vienna and at the Institute for Quantum Optics and Quantum Information (IQOQI) of the Austrian Academy of Sciences was undertaken in collaboration with the scientists who originally invented the protocol, based at the University of Edinburgh, the Institute for Quantum Computing (University of Waterloo), the Centre for Quantum Technologies (National University of Singapore), and University College Dublin. Everyone likes personal cloud services, like Apple’s iCloud, Google Music, and Dropbox. But, many of aren’t crazy about the fact that our files, music, and whatever are sitting on someone else’s servers without our control. That’s where ownCloud comes in. OwnCloud is an open-source cloud program. You use it to set up your own cloud server for file-sharing, music-streaming, and calendar, contact, and bookmark sharing project. As a server program it’s not that easy to set up. OpenSUSE, with its Mirall installation program and desktop client makes it easier to set up your own personal ownCloud, but it’s still not a simple operation. That’s going to change. According to ownCloud’s business crew, “OwnCloud offers the ease-of-use and cost effectiveness of Dropbox and box.net with a more secure, better managed offering that, because it’s open source, offers greater flexibility and no vendor lock in. This makes it perfect for business use. OwnCloud users can run file sync and share services on their own hardware and storage or use popular public hosting and storage offerings.” I’ve tried it myself and while setting it up is still mildly painful, once up ownCloud works well. OwnCloud enables universal access to files through a Web browser or WebDAV. It also provides a platform to easily view and sync contacts, calendars and bookmarks across all devices and enables basic editing right on the Web. 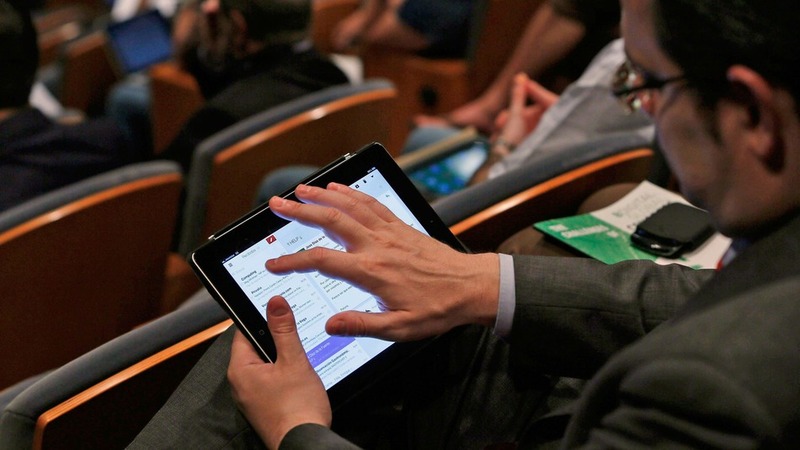 Programmers will be able to add features to it via its open application programming interface (API). OwnCloud is going to become an easy to run and use personal, private cloud thanks to a new commercial company that’s going to take ownCloud from interesting open-source project to end-user friendly program. This new company will be headed by former SUSE/Novell executive Markus Rex. Rex, who I’ve known for years and is both a business and technology wizard, will serve as both CEO and CTO. Frank Karlitschek, founder of the ownCloud project, will be staying. To make this happen, this popular–350,000 users-program’s commercial side is being funded by Boston-based General Catalyst, a high-tech. venture capital firm. In the past, General Catalyst has helped fund such companies as online travel company Kayak and online video platform leader Brightcove. As a Linux geek, I already liked ownCloud. At the company releases mass-market ownCloud products and service in 2012, I think many of you are going to like it as well. I’m really looking forward to seeing where this program goes from here.